What is a short sale is a question that Manchester CT Short Sale agents are getting a lot these days. Short Sales are defined as the sale of real estate where the proceeds from selling the property will fall short of the amount owed for the mortgage and the owner cannot afford to repay the difference, so the mortgage company agrees to accept less than the amount owed. A simple example of this would be a homeowner has a mortgage of $250,000 and the current market value is only $200,000. In order for the seller to move on and sell the home the bank would have to o.k. the loss. So why in the world would the bank do this? It’s simply a good alternative to foreclosure for the bank. The foreclosure process can be very time consuming and expensive for banks and they are not in the business of property management so very often they will opt to do a short sale. The current market has a large inventory of REO’s (Real Estate Owned by the bank) and short sales. It’s important that people know the major differences and there is no one better to ask than a Manchester CT short sale agent. With the current economic mess many homeowners in the Manchester CT area have found that they can no longer afford their mortgages and many will simply just stop paying. There is a better way and it’s called a Short Sale. Many of these homeowners have tried to restructure their mortgage only to be turned down or have restructured and can’t even afford that. Hard times have fallen on countless homeowners around Manchester CT and a short sale can help the owner move on, avoid foreclosure, and minimize the impact to their credit score. Call Jeremy Joslin to help answer your short sale questions. Short Sales can be very challenging. When it’s time to choose a short sale agent in the Manchester CT area it’s very important that you choose to work with an agent who has experience and training to work short sales. Hire someone that has a team of professionals ready to assist you in this process. Call an agent that’s committed to getting the deal closed and helping you move on with your life. 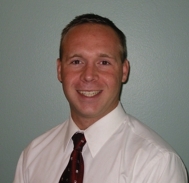 Call Jeremy Joslin at (860)748-9381 your Manchester CT short sale agent.